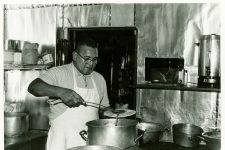 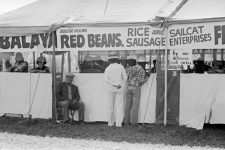 New Orleans’ undisputed king of red beans and rice, Clarence “Buster” Holmes, operated an iconic soul-food restaurant here for decades, but something else was on the menu besides his legendary beans, garlic chicken, and turnip greens: jazz. 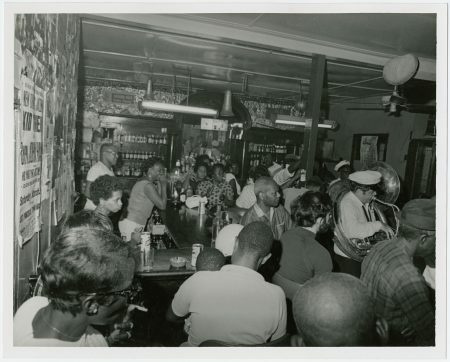 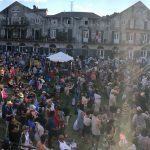 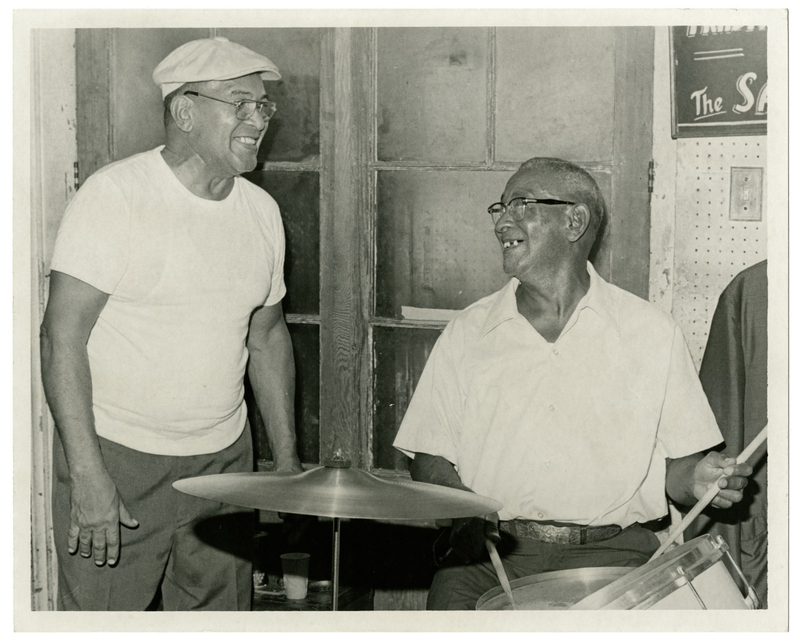 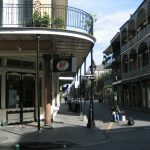 As an informal clubhouse for musicians, particularly those associated with Preservation Hall, Buster’s place served as a magnet for second-line parades and impromptu performances, as well as a comfort zone where players could socialize before and after performances. 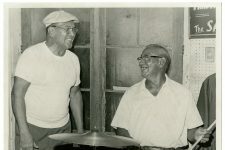 Regulars included legends such as George “Kid Sheik” Cola, Alcide “Slow Drag” Pavageau, Matthew “Fats” Houston, Harold Dejan, and — really — the whole who’s who of the city’s downtown traditional-jazz scene. 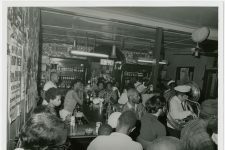 With a reputation for super-cheap and filling meals, Buster’s humble two-room restaurant with a bar and lunch counter also played a key role in the city’s race relations. At the height of the civil-rights era, after operating at another French Quarter location since 1944, the cigar-chomping and gregarious Holmes moved his joint to the corner of Burgundy and Orleans in 1960. 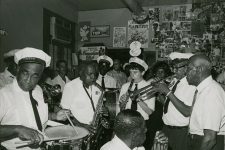 In those pre-desegregation days and the tumultuous years after Jim Crow laws were rescinded, Buster’s served as an important communal dining spot for people of all races, classes, and origins — a place where white locals (including upper-class professionals) and tourists from around the world sat cheek to jowl with the city’s black residents, united in hunger for Holmes’ homegrown delights. Celebrities such as Vincent Price and Woody Allen frequented Buster’s, not to mention native New Orleans son and red-bean aficionado Louis Armstrong. 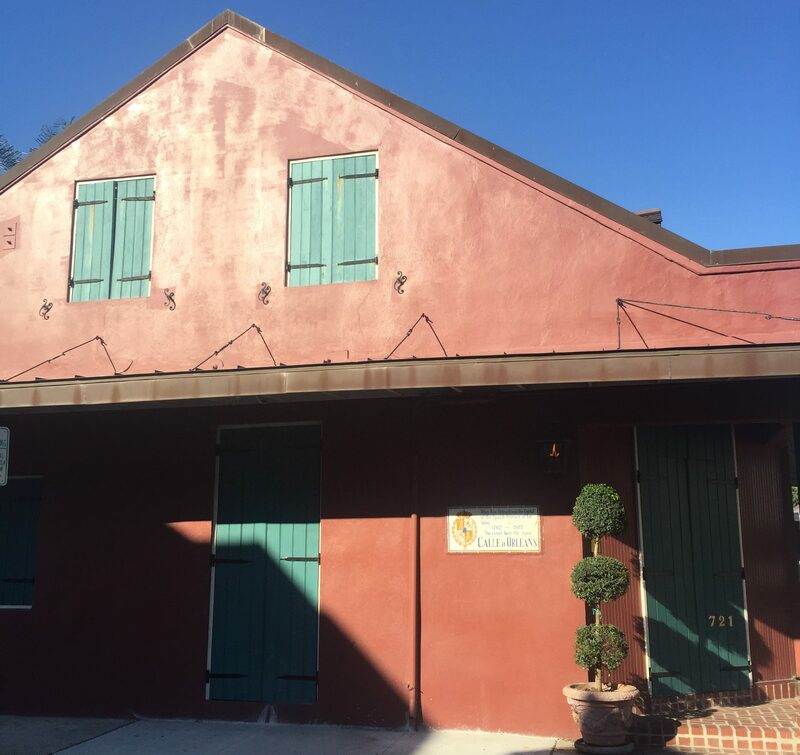 Paul and Linda McCartney also dined here while recording Wings’ album Venus and Mars at Allen Toussaint’s Sea-Saint Studio in 1975. 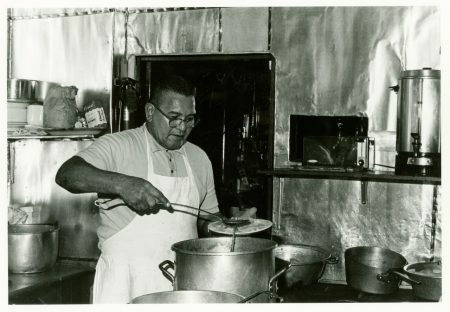 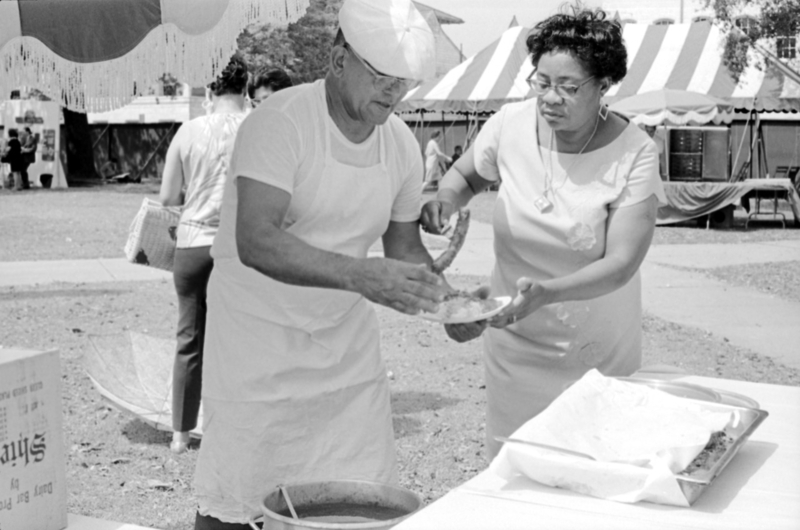 Holmes became an ambassador of New Orleans cuisine, traveling around the world to showcase his cooking and often accompanying New Orleans musicians on their overseas tours. He also cooked and sold red beans and rice at the first New Orleans Jazz and Heritage Festival in 1970 at Congo Square, and for a few years thereafter. 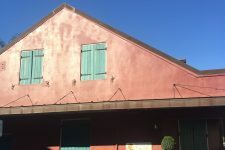 And in 1980 he self-published a cookbook of his recipes that is still available from Pelican Publishing Co.
By the early 1980s, with Holmes in his golden years, the Burgundy Street restaurant closed, although a Buster Holmes outlet operated for many years at the riverfront Jax Brewery shopping complex on Decatur Street. 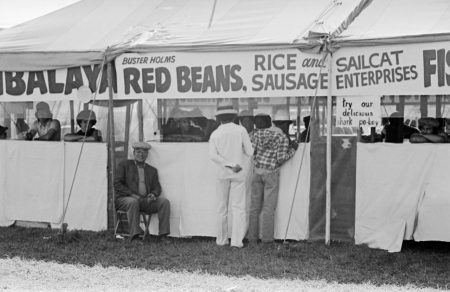 An unsuccessful attempt also was made to franchise the original concept at other locations. 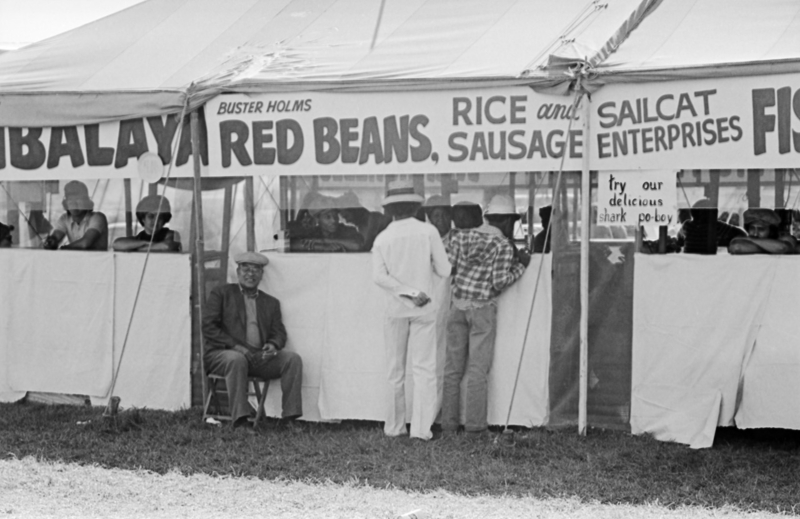 Holmes died in on Feb. 28, 1994, appropriately enough on a Monday, the customary day of the week in New Orleans to cook and consume red beans and rice. 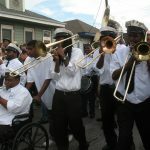 He received a traditional jazz-funeral sendoff featuring the Algiers Brass Band and numerous other musicians. 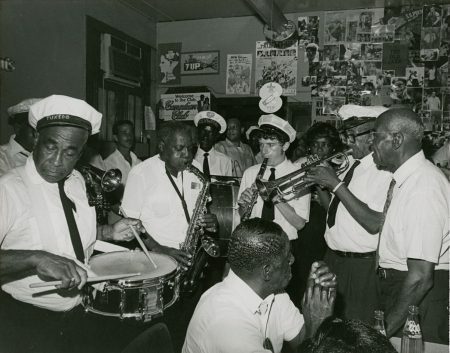 With Buster Holmes behind the bar in his restaurant, a brass band with Allan Jaffe on tuba plays for a crowd. From 1969: Buster Holmes ladles food onto a plate in the kitchen of the Longshoremen's Recreation Center at 2700 S. Claiborne Avenue.